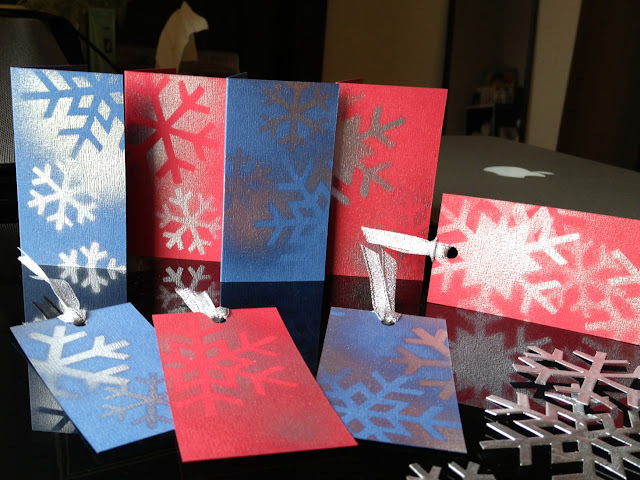 This year's Christmas tags are spray-painted. 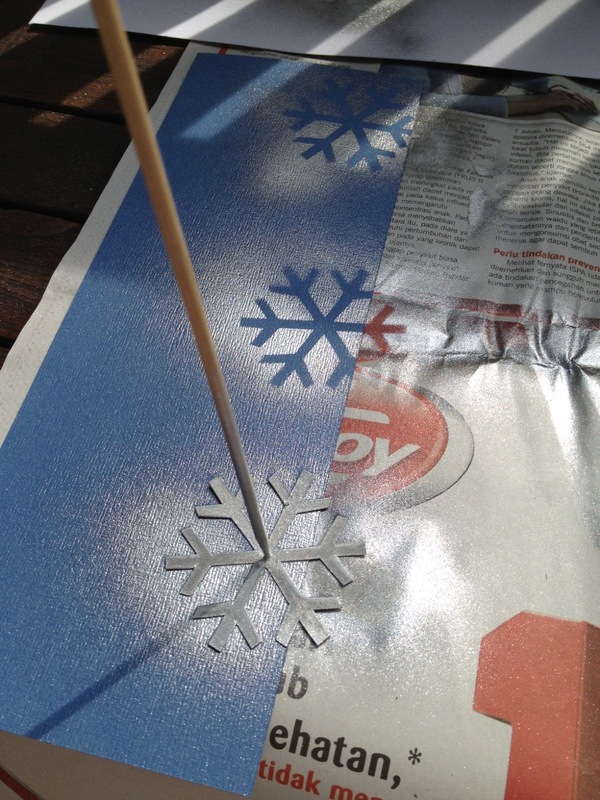 I cut out some snowflakes and use them as template for spray-painting. It was so much fun working outside, I especially loved the shaking-the-can part :D I bought a rather expensive glitter spray paint which turned out to not work that well. It was watery and the glitter didn't really show that much. So I ended up using just the silver paint, which came out great. 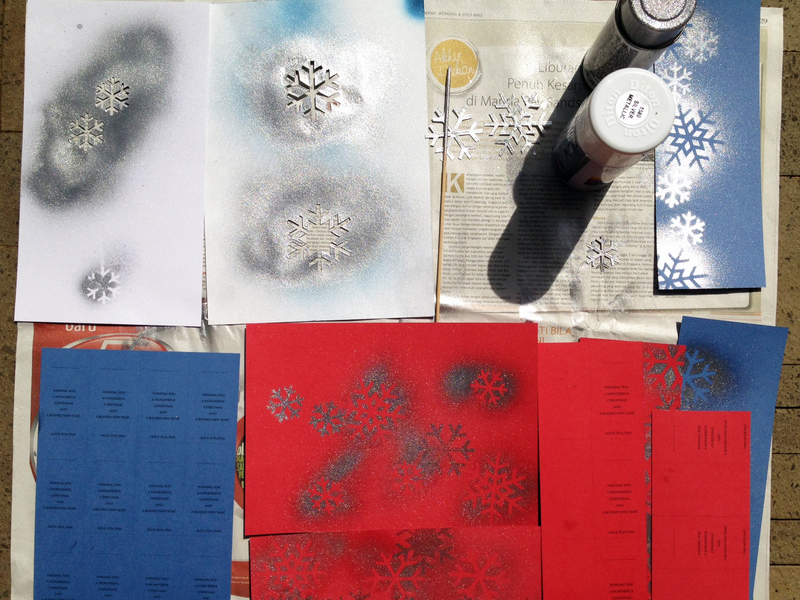 I'll figure out what to do with that fancy glitter paint thing one day.